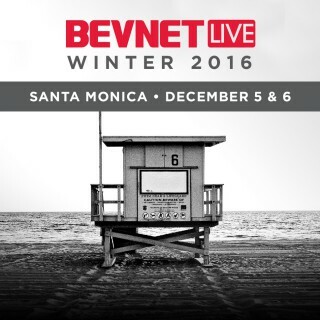 Today is the last day to take advantage of early registration pricing for BevNET Live Winter 2016. The two-day business conference, held on Dec. 5 and 6 at the Loews Beach Hotel in Santa Monica, Calif., is the premiere business event for beverage entrepreneurs, suppliers, distributors, retailers and investors. BevNET Live provides a unique opportunity to learn, network, and get ahead of what’s next. Nearly 600 beverage industry professionals will attend and the event will likely sell out; don’t miss out on early registration savings on tickets. After today, tickets will increase by $200 per person. Additionally, there are a very limited number of discounted hotel room available at the Loews Santa Monica Beach Hotel. Access to the BevNET Live room block is only available for registered attendees on a first-come, first-served basis. Get yours now before it’s too late. Again, the room block is only for registered attendees. We monitor the room block and will remove your reservation if you are not registered for BevNET Live at the time of booking.